An outbreak of an untreatable viral disease in horses is being blamed on one horse from Colorado. Other horses across the country may have been exposed. 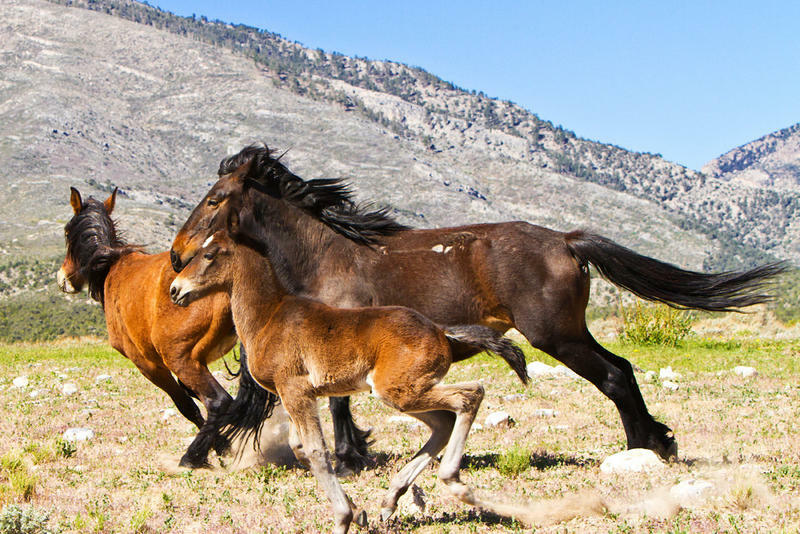 A federal judge stopped a planned roundup of Pryor Mountain wild horses on the Wyoming-Montana border, arguing it could harm the genetic viability of the wild horses. 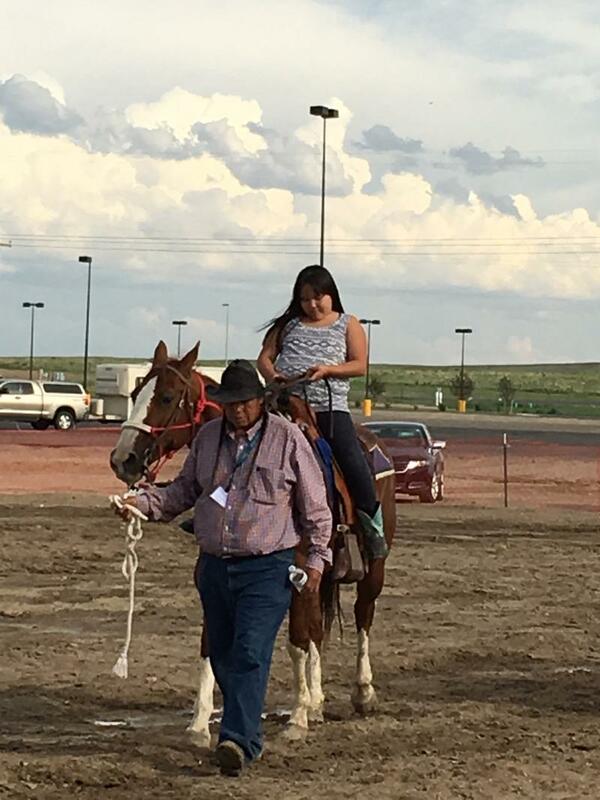 Although we live in the West not everyone has the opportunity to ride a horse. 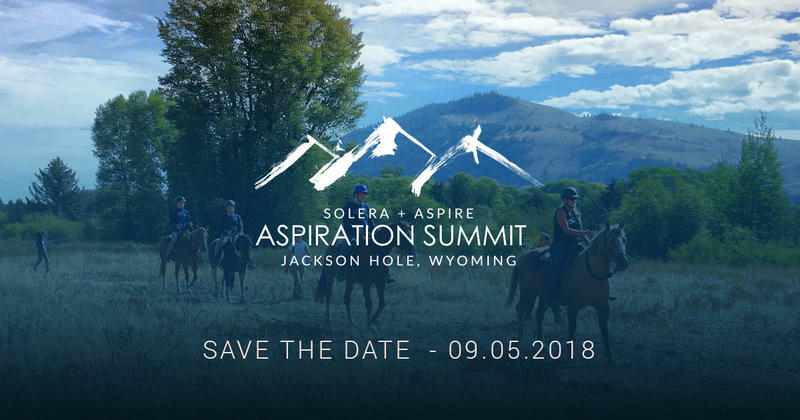 A summit in Jackson is trying to make horses accessible to more people. Even if you live far away and sometimes need help going through your day today. Hay prices are spiking this year, driven up by a drought-induced shortage of the crop. It’s affecting ranchers across the board, but horse owners in particular are feeling the pinch. Horses eat higher quality hay, so it’s harder to get. 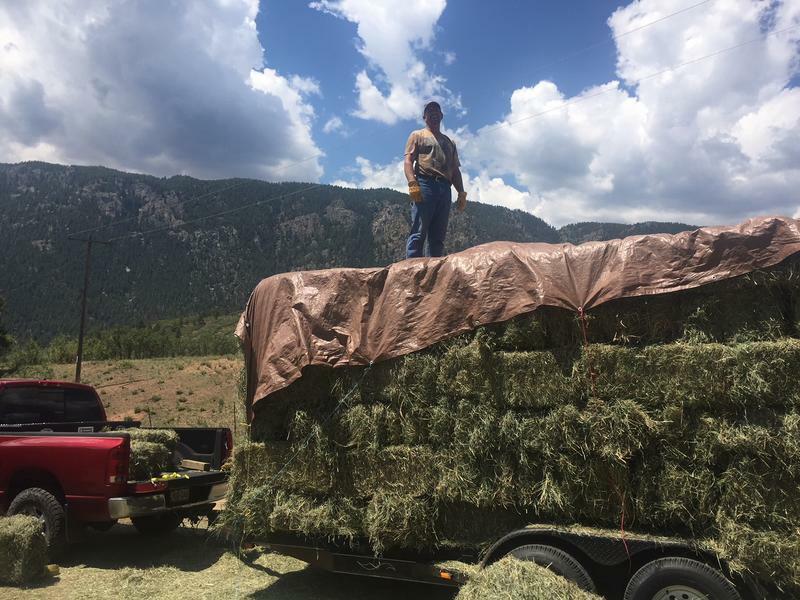 It’s forcing horse owners in Colorado to buy more hay from neighboring states like Wyoming, Idaho, and Montana and that’s driving the cost up even more. When outsiders think of the American West, they probably think of mustangs. 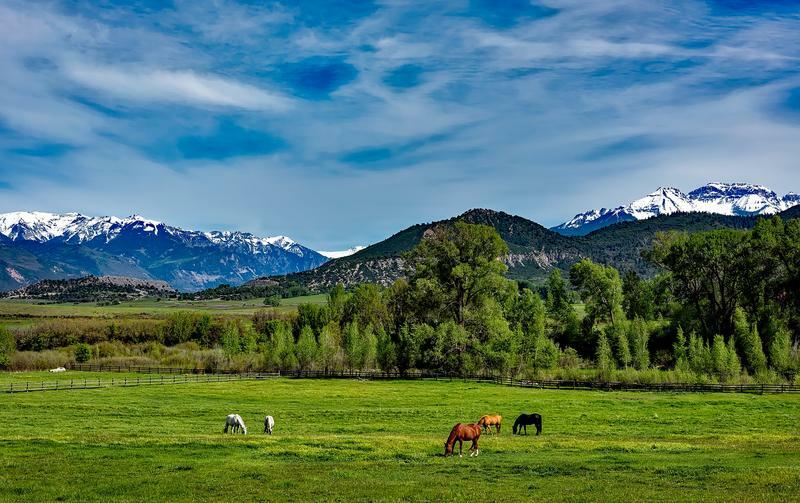 The horses’ ancestors were brought to the New World by conquistadors more than five centuries ago and nowadays, thousands of wild horses roam the Mountain West – especially in Utah, Wyoming, Colorado and Nevada. It’s an unseasonably warm November day in Wyoming, and a small group of Bureau of Land Management employees is out in the Checkerboard, just east of Rock Springs. 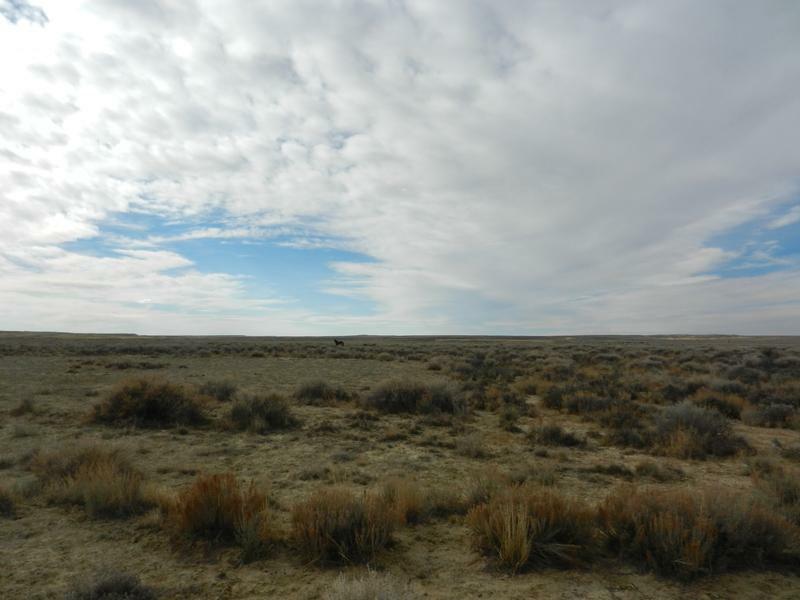 Like a lot of Wyoming, it’s arid with wide open spaces. They’re looking for wild horses. Leading the way is Jay D’Ewart, who works with wild horses for the Rock Springs field office. 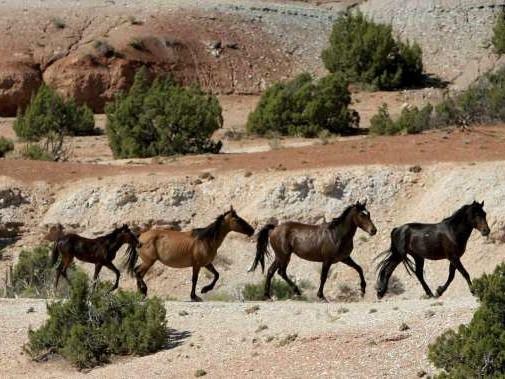 On Monday, arguments were presented against the U.S. Bureau of Land Management's removal of wild horses from a herd of management area in what's known as the Checkerboard area near Rock Springs. Wild horse advocate groups argue that the removal of horses is conducted inhumanely and is expensive for tax payers, and that wild horses have the right to roam on public land. American Wild Horse Preservation Campaign Director Suzanne Roy says she hopes the court appeal will stop the roundup, and soon. Kids and horses gather on a dusty riding ground on a ridge overlooking the snow-capped Wind River Range. Northern Arapaho Social Services Director Allison Sage starts the day’s ride as he always does: with a prayer and introductions. 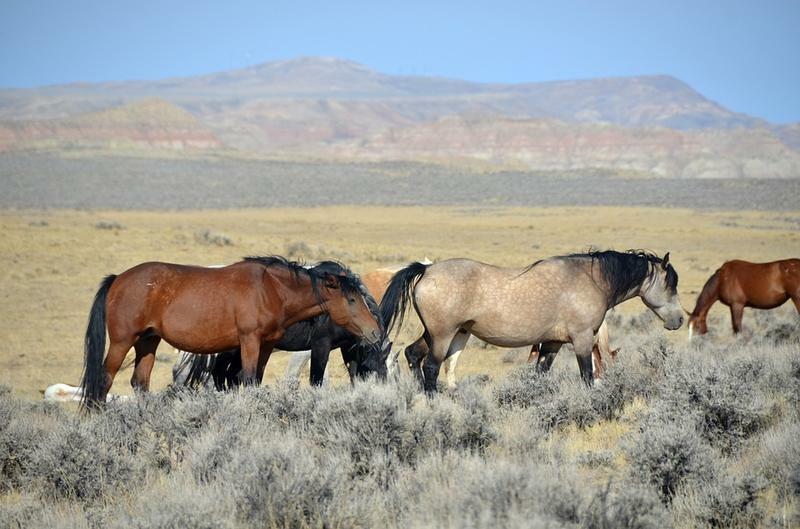 The Modern West 5: Wild Horses—A Western Icon In Trouble? There's no cowboy without his trusty steed, so this month, we explore the role of horses in the Modern West. It’s been a wet summer with lots of bugs. And all those flies and insects have led to the worst outbreak in years of a livestock virus known as vesicular stomatitis. The virus is identical to foot and mouth disease, except it can affect not only cattle but horses and other livestock. It causes sores on the animal’s mouth, ears and feet. State Veterinarian Jim Logan advises stopping the spread of the disease by limiting contact with other’s people’s livestock and with insects. 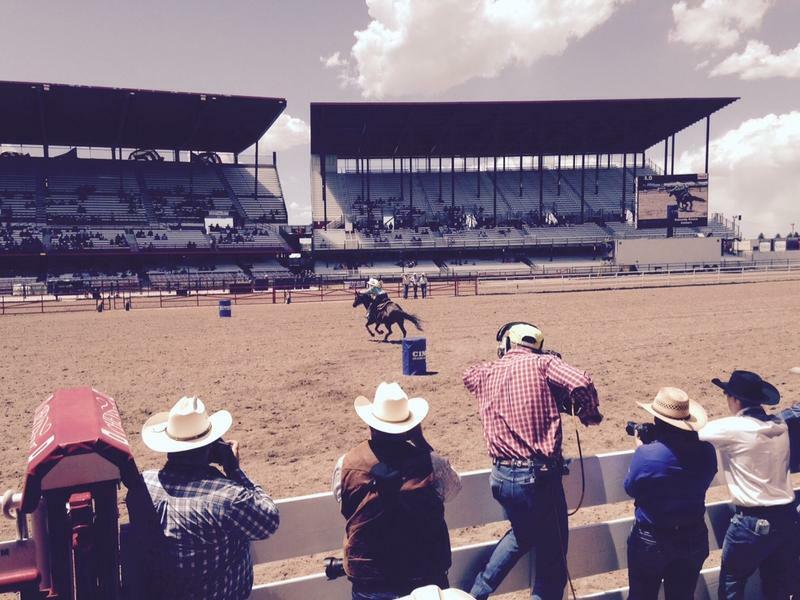 When you think of a rodeo star, it’s usually a guy on a bucking horse, not a woman. But there is one age-old rodeo event that was developed especially for women: barrel racing. It’s been around since the early 1900’s, but it’s not for wimps. Racers on horseback make loops as fast and tight as they can around three barrels set up in a triangle before heading back to start--and they do it in all in under 18 seconds. Stories about riding a horse to school. 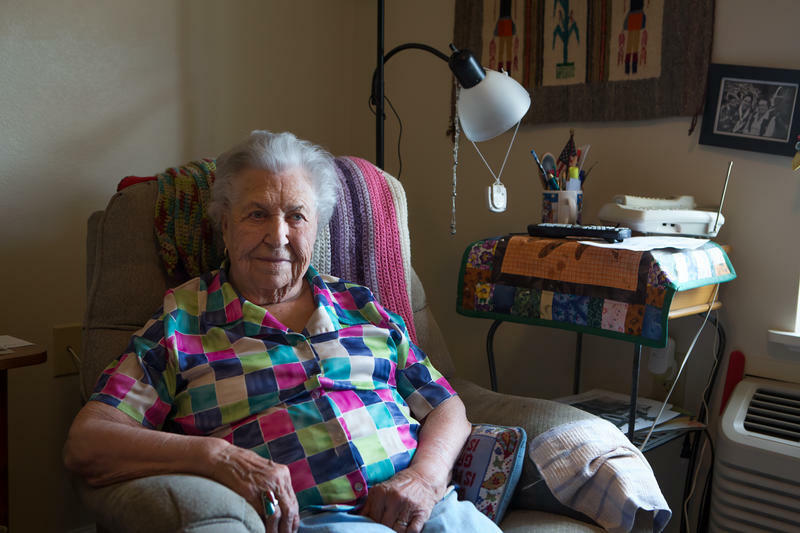 Alice Fales lives in Cody, WY. 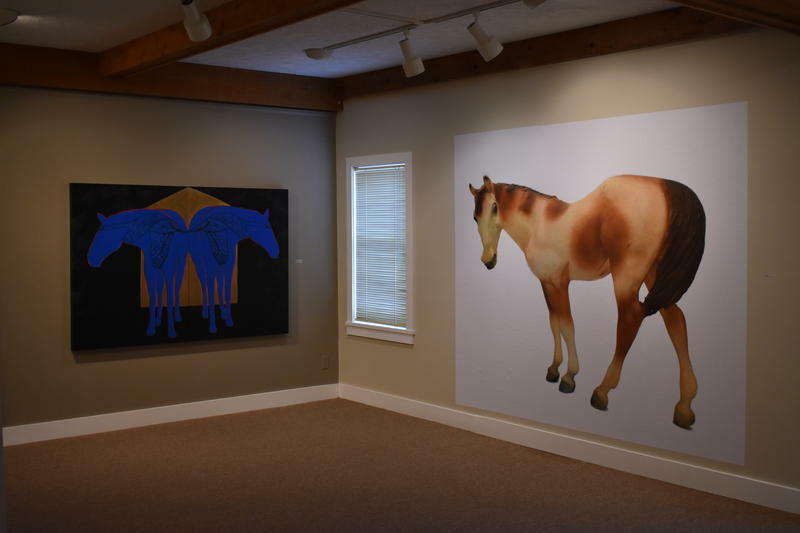 She recalls fond memories of the role horses played in her youth and riding a horse to school. This was almost the year of the thoroughbred horse, with California Chrome's run for the elusive Triple Crown. 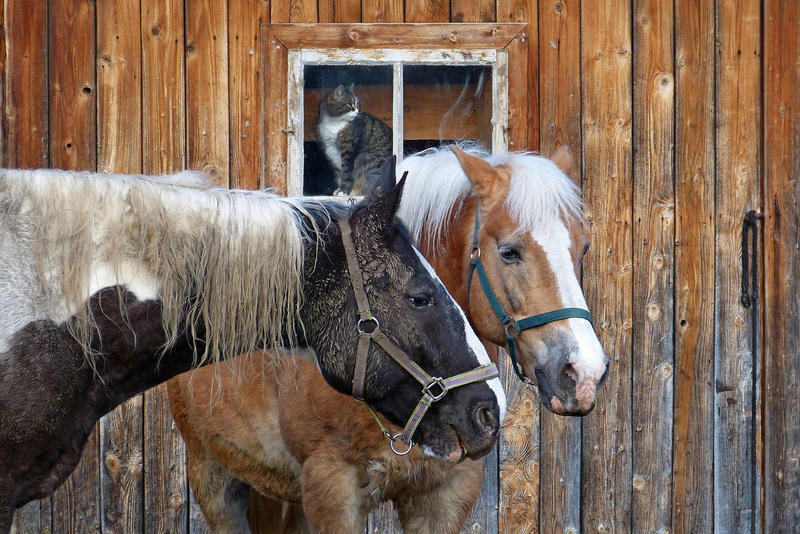 But here's the story of a smaller, scrappier horse that overcame long odds with the help of a Wyoming family. Wyoming Public Radio’s Micah Schweizer has this postcard from a visit with the Spanish Mustang. Living history comes thundering over the ridge. This is America’s original horse. 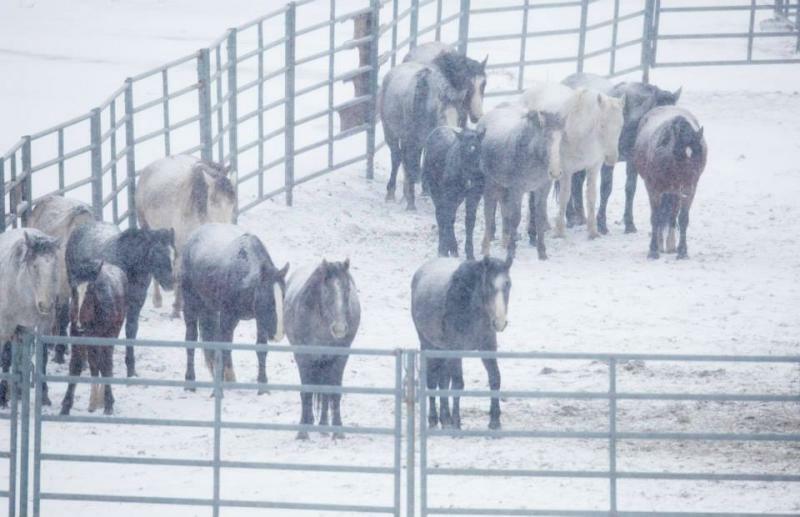 A wild horse advocacy group says conditions at a facility near Rock Springs are inadequate. 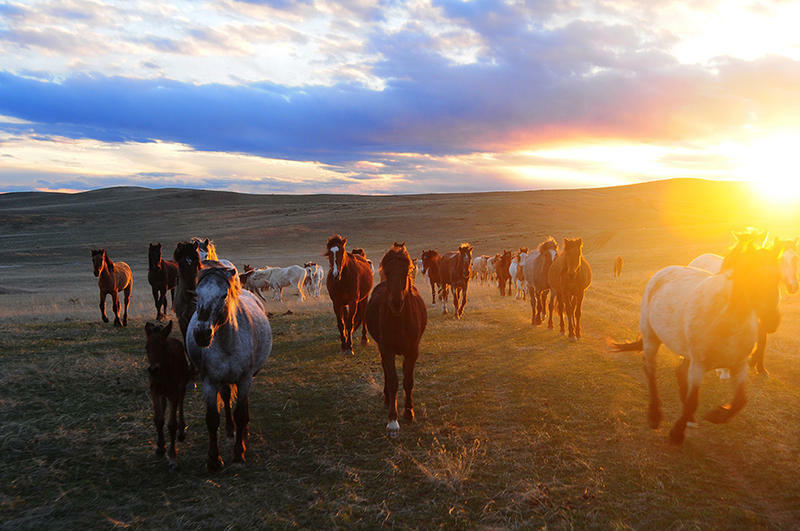 The Bureau of Land Management removes thousands of wild horses from public lands each year. Some are placed in temporary corrals in Rock Springs, until the agency can find a permanent home for them. 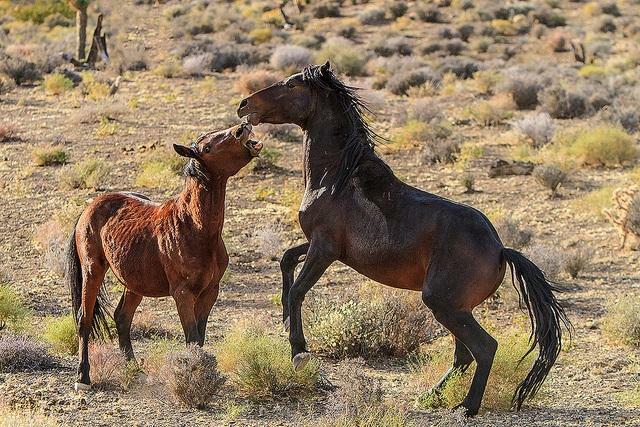 Ginger Katherens with the Cloud Foundation says the corral has almost no shelter, so the horses are subjected to “bitter cold and battering wind.” She acknowledges that wild horses always live outside, but she says this is different. Cody resident Martha Kinkade tells her daughter Becky the story of a wild horse only she could ride. Martha’s future husband, Harley, needed someone to ride the horse while he was gone during the summer, so Martha took the reins. And in this story, Martha recounts moments from her school days. 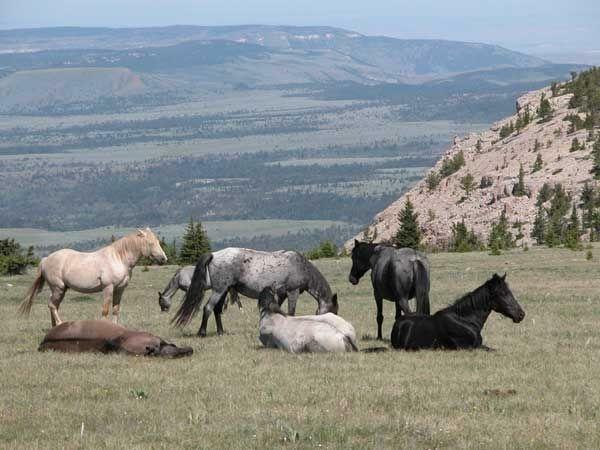 Every year, the Bureau of Land Management removes thousands of horses from public land in Wyoming. They ship most of the horses to long-term holding facilities in the Midwest. But that’s expensive … and they’re running out of space. So now the BLM has partnered with ranchers to create a so-called horse “ecosanctuary” right here in the Cowboy State. It’s the first of its kind in the nation. 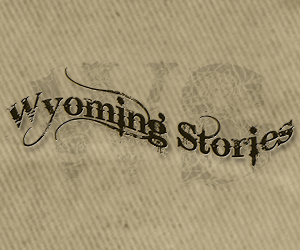 Wyoming Public Radio’s Willow Belden reports.